Orange UK has blinked first and put the HTC Hero up on its website, although only as a 'coming soon' option. Unfortunately there's no way to pre-order the phone, although Orange has apparently said that it will release more information in the next few days. 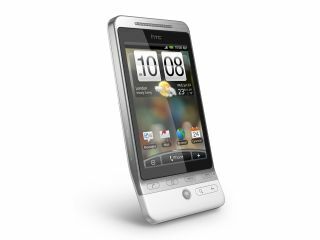 Both Orange and T-Mobile are going to be selling the HTC Hero, although the pink network will be calling it the G1 Touch just to make things confusing, and has yet to list the phone on its site either. The new phone will be available in just graphite grey, according to the Orange site, although its likely more colours will be available as we saw a variety when we had or recent hands-on with the device. If you're still hankering for a device, then you can get it as a SIM Free version from Amazon for a shade under £429, or wait to get the thing on contract around mid-July. It's nice to have options, isn't it? Check it out here on Orange UK's website.